After Dresden, elegant Manila  once known as the Pearl of the Orient  was the most bombed-out city during World War II. Still, it has grown exponentially since the American recapture of the Philippine archipelago and now is a city of multiple cities, at once opulent and desperately poor, threaded together by slums, brackish canals and packed roads. The ravages of Typhoon Ketsana in 2009  the worst to hit Manila, killing nearly a thousand and submerging swaths of the city  showed how rapid urbanization and lax municipal management had left Manila prone to such natural calamity. Plans to shift some businesses and government offices away from the dense Manila capital region have yet to be implemented and may do little to turn the overcrowding tide. 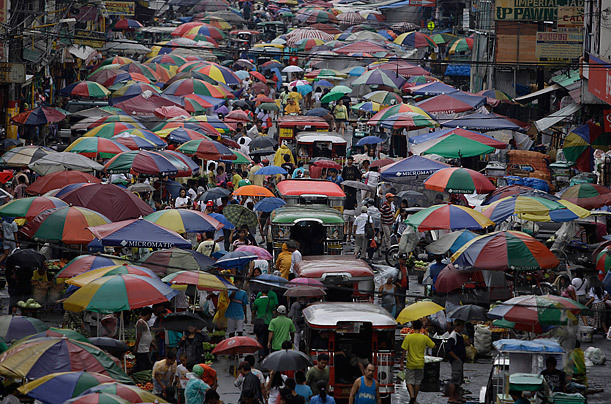 See pictures of flooding in Manila.